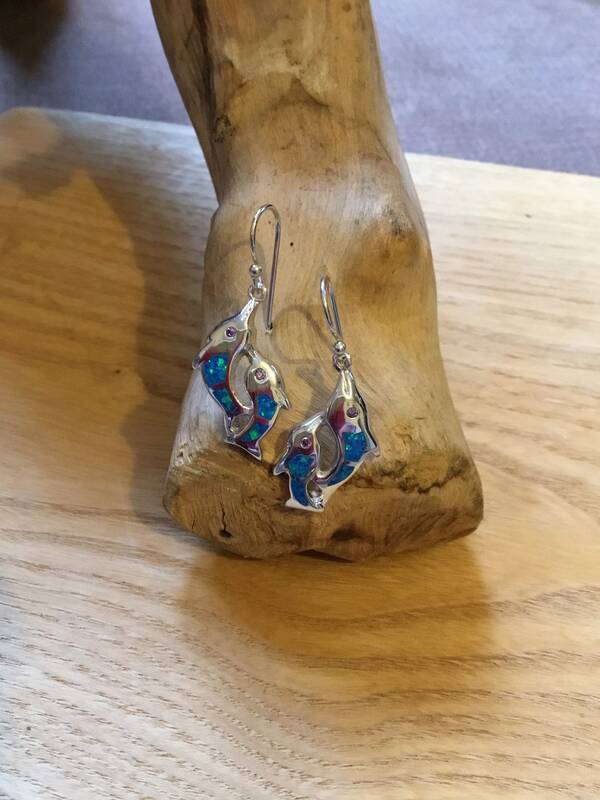 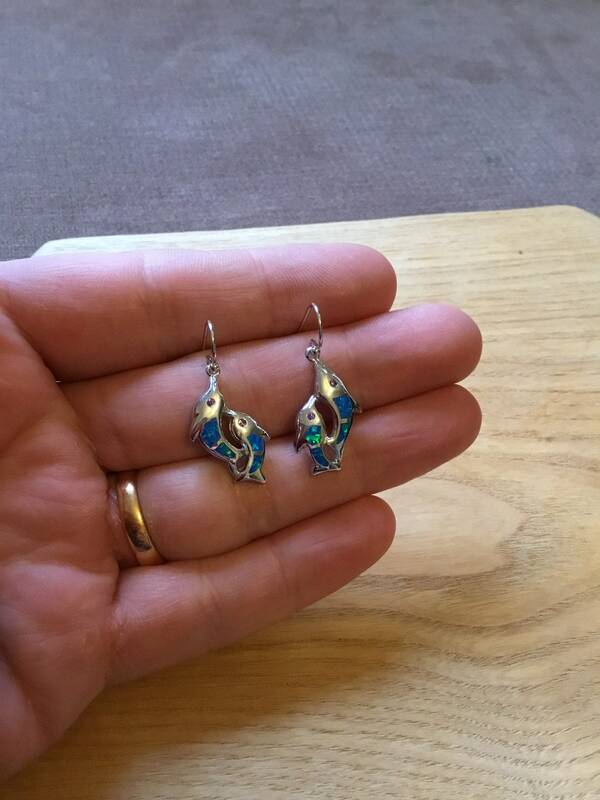 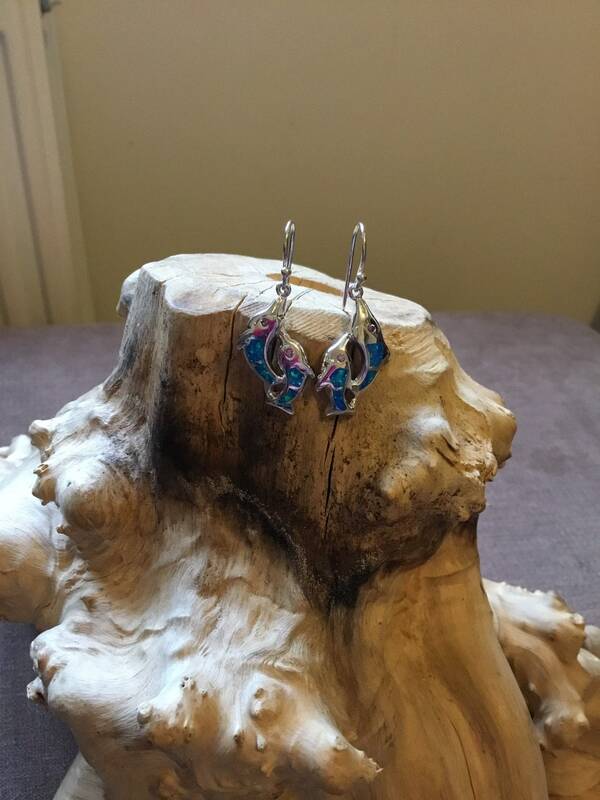 A Pair of Dolphin Stud Earrings in Sterling Silver and Inlaid With Vibrant Opal. 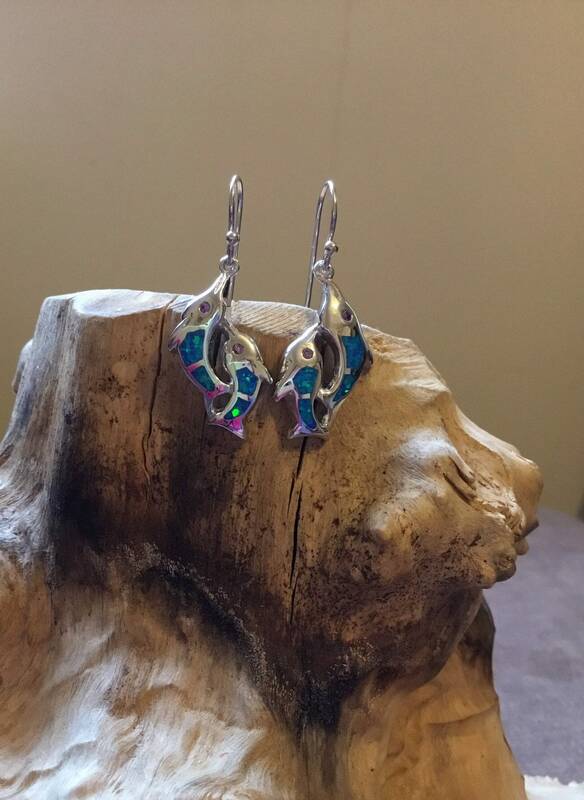 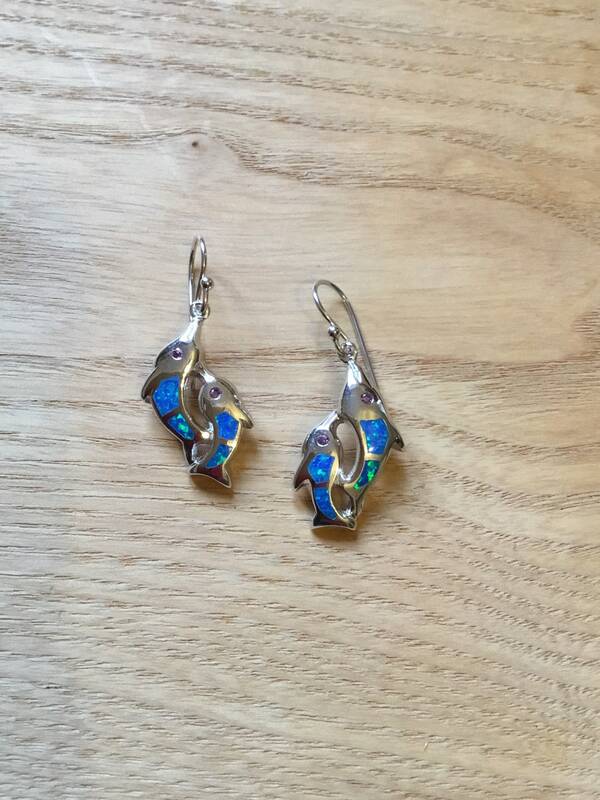 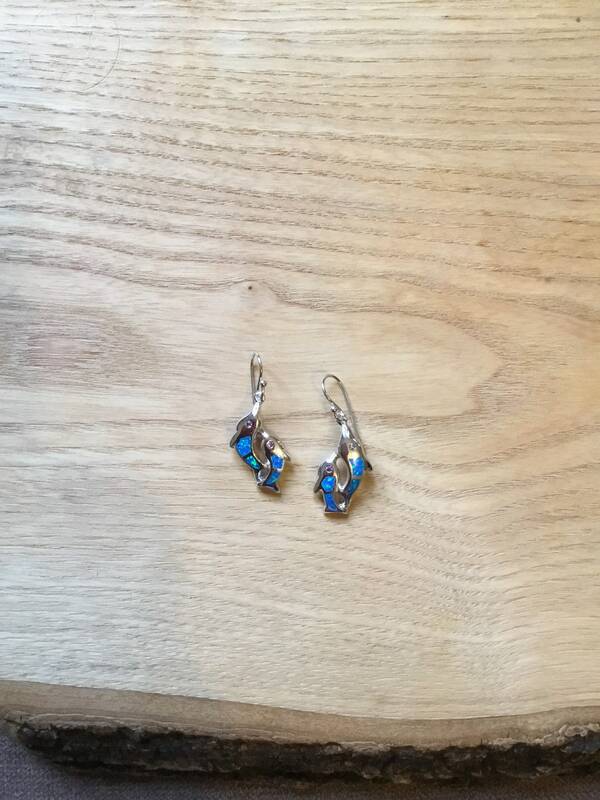 The Opal is Blue and Green and Each Earring Has Four Pieces Inlaid Comprising The Body With A Lilac CZ For Each Eye. 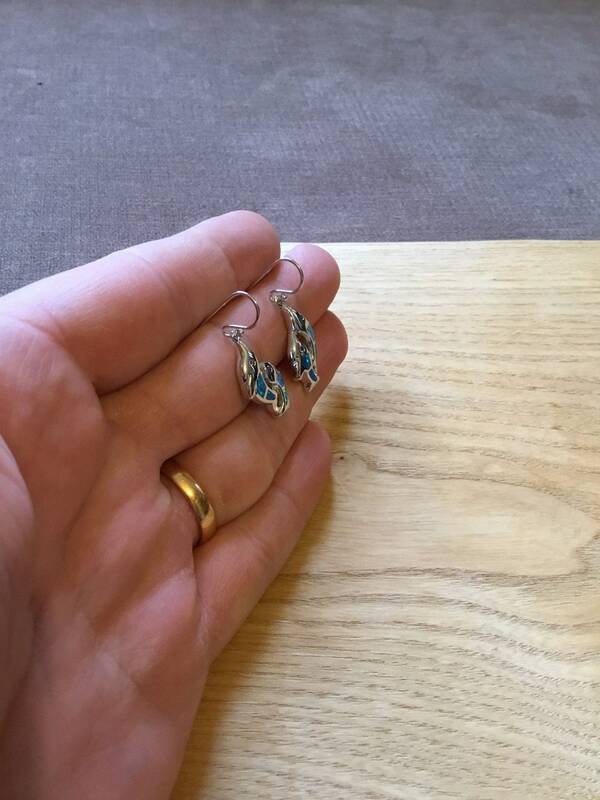 With a Measurement of 34 mm Long and 15 mm Wide, These Lovely Earrings Can Be Worn For Any Occasion.